FOUR homes were burgled in one night in an area of Waterlooville on Friday. 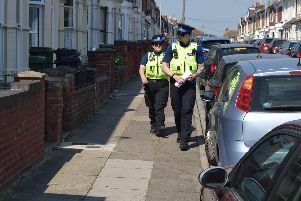 Police said homes in Goodwood Close, Lysander Way, Crystal Way and Wincanton Way were targeted. In each case the thief got into the house by using small open windows or back doors to gain entry. Anyone with information is encouraged to call 101.